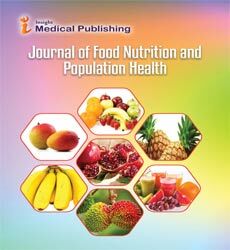 Journal of Food, Nutrition and Population Health provide a platform for the researchers, academicians who are associated with Nutrition, food science, Human nutrition, health sciences. The journal publishes articles on the latest research and development in food sciences and health sciences. Authors are welcome to submit articles in the form of a research article, review article, short communications, brief reports and case studies, letter to editor and commentary, etc. Journal of Food, Nutrition and Population Health uses an open access business model, such that papers published online are freely available for viewing and downloading without subscription or user registration, while authors pay a publication fee of $500 ($419 for a special issue). The publication fee is assessed only if the paper is accepted editorially, and authors for whom the publication fee would be a barrier may request a partial waiver by contacting the editorial assistant.